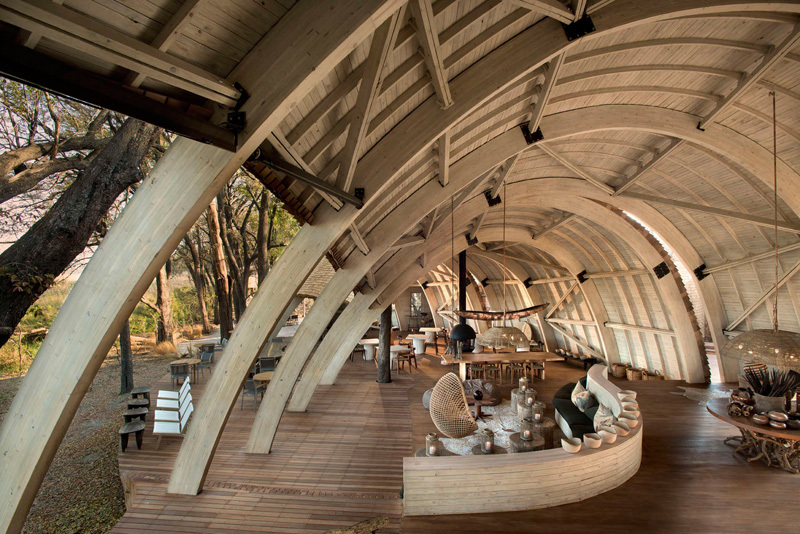 Michaelis Boyd has worked together with local architect Nick Plewman, to design Sandibe Okavango, a sustainable safari lodge in Botswana. 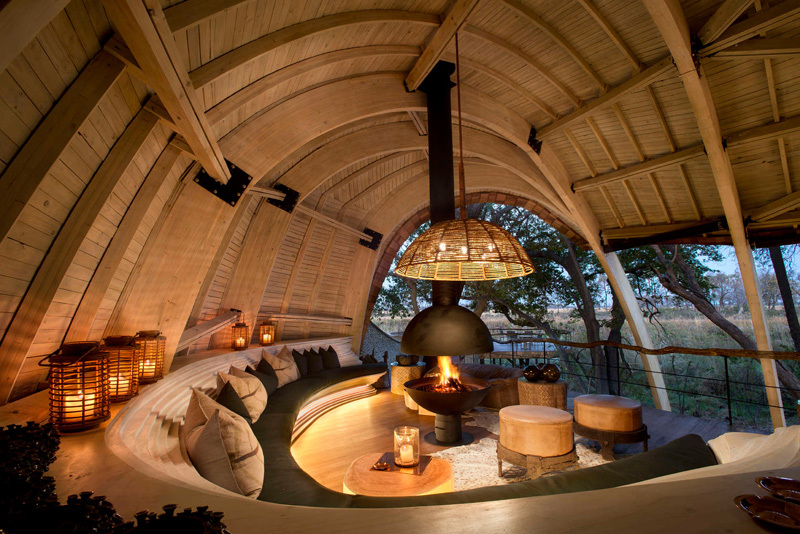 The lodge is sensitively designed to blend in with the surrounding landscape in Okavango Delta adjacent to a lively games reserve. 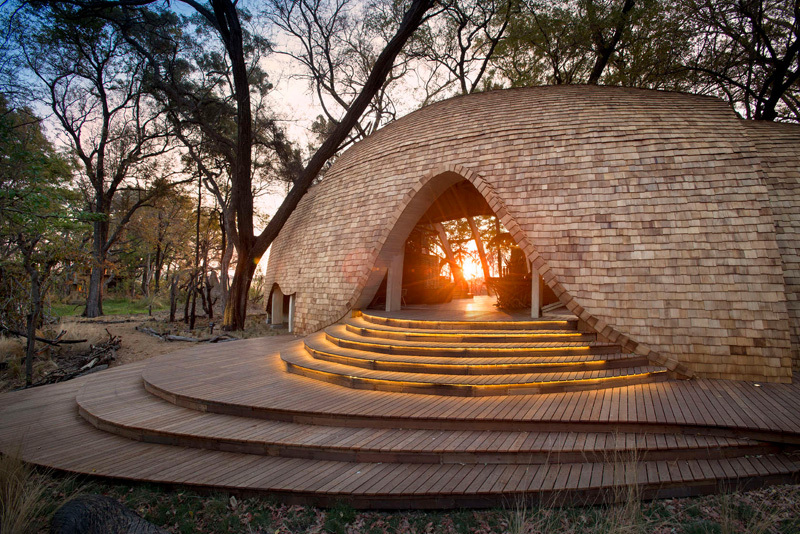 Clad in natural shingles and woven saplings, the entirely timber structure is bold and dramatic unlike anything that has been seen before in the Delta region. 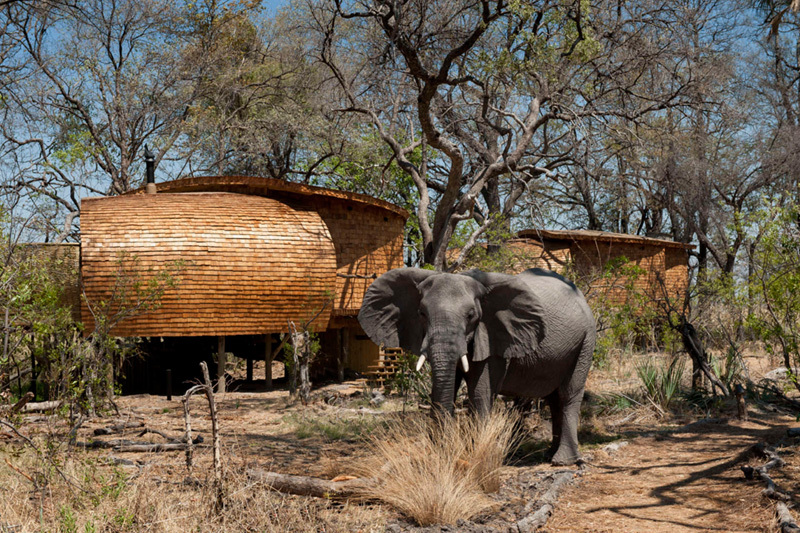 Sandibe is intended to be the anchor lodge for the destination and with generous design freedom and budget; it was possible to produce a striking design that evoked the Pangolin, a solitary creature from the African bush. The scheme design is luxurious, sculptural and clean, from the twelve elevated guest suites to the sweeping timber ribs in the main areas leading to the dramatic curved bar. Demonstrating MB’s design focus on flow, light and space and capturing the tranquility of the region, the design shows a clear move away from the typically dark interiors of Safari lodges.